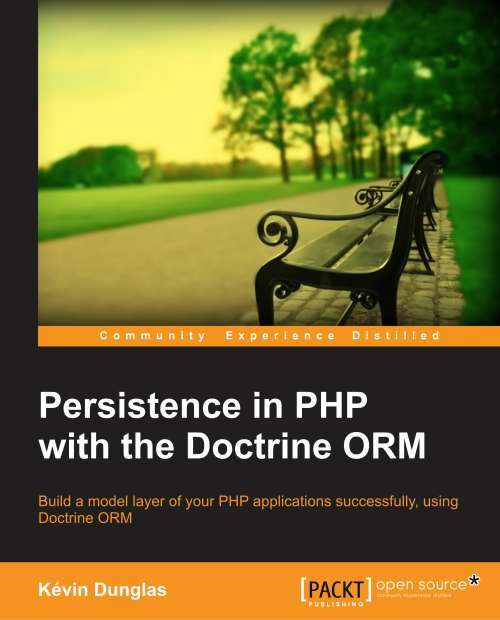 Add extra repositories for installing a lot of additional software. By default it activates Universe, Multiverse, Extra. Added but deactivated are Backports, Wine, PHP5, suPHP, KDE 3.4.2. Install the Skype voice-over-IP software. Install the NVIDIA driver for 3D support. Download Easy Ubuntu and extract it (double click on EasyUbuntu-2.1.tar.gz). Go into the EasyUbuntu directory and double click on the EasyUbuntu file. You’re asked for your password. Easy Ubuntu changes your /etc/apt/sources.list file by another with new repositories. Click OK. Wait with progress bars while software are installed. Firefox need to be closed. Click OK will close your browser. The gnome-panel need to be reloaded if you have selected Logo. If you want to restore the GNOME foot type in a shell: sudo cp /usr/share/pixmaps/gnome-logo-icon-transparent_backup.png /usr/share/pixmaps/gnome-logo-icon-transparent.png. 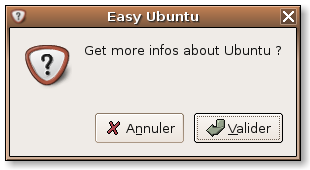 Notice: Easy Ubuntu uses gettext for localization. 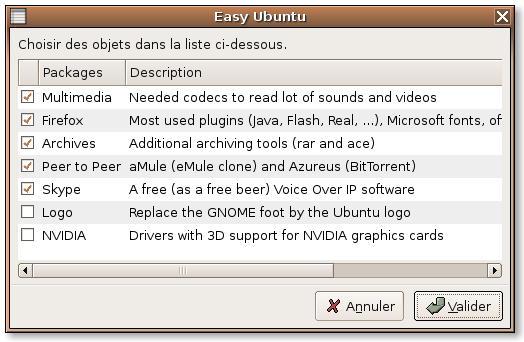 You can translate Easy Ubuntu in other language using the EasyUbuntu.po file include in lang/fr/ direcory. 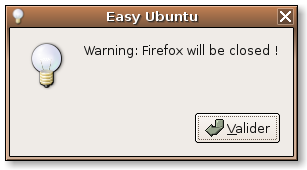 If you have translated Easy Ubuntu in another language please send me the PO file ! Thanks to floppy for the corrections. 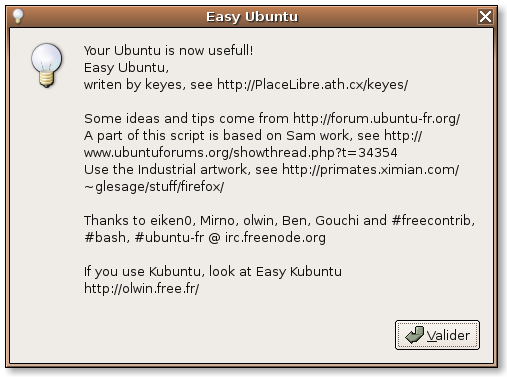 ← Previous Post Easy Ubuntu 2.1 est là !